Ke ‘captainMo’ Liu has responded to a social media post accusing him of being involved with match-fixing. The player claimed that his team “will not match-fix” and accused members of the community of attempting to “threaten” them into fixing matches. Yesterday, an anonymous Weibo user accused captainMo of working with a community member from Shanghai known as MEOW1G to fix matches. They provided screenshots of a text conversation between captainMo and MEOW1G. The alleged fix occurred on 3 December 2015. On this day, TYLOO competed in the Fulcrum Gamers League against inchk1ng, a team who has since been banned for fixing matches. View the screenshots. Throughout these few years, there has been numerous people who contacted us for match-fixing, from giving us money to threatening us. Initially they contacted the TYLOO management but got refused and later contacted the players directly. However, no matter what methods they use, we have always refused without a doubt because we dont want to waste our years of dedication in TYLOO. He hasn’t clarified whether the screenshots are genuine, taken out of context or doctored. Next, he talked about more recent events. He mentioned the recent ZOTAC Cup event TYLOO attended. captainMo stated that MEOW1G contacted him to discuss the possibility of “working with them in terms of match-fixing” but responded by saying “there is no way that we will match-fix”. After the phone call, the person added my WeChat and sent me all the screenshots that you guys saw on Weibo. After this conversation, the unknown person contacted captainMo through messaging client WeChat. 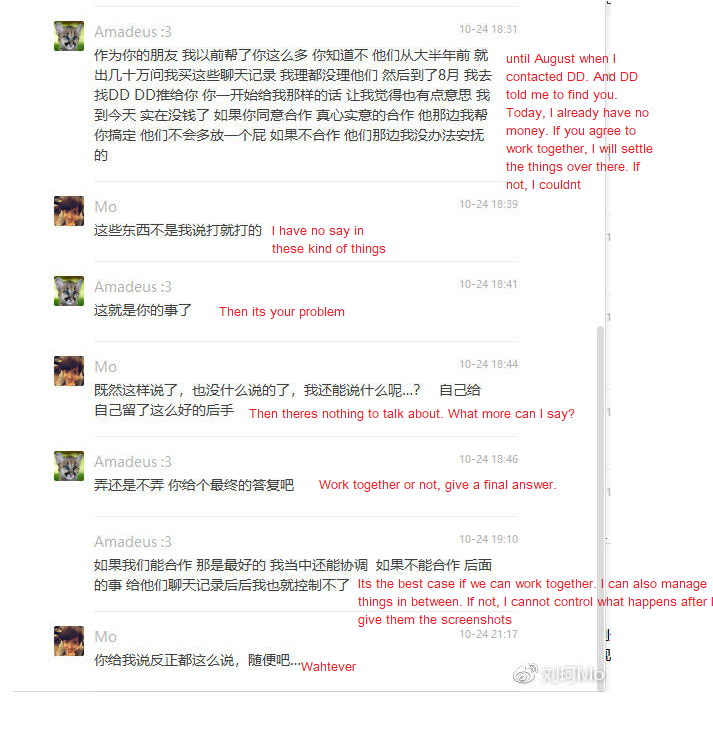 captainMo posted screenshots of the interaction which appear to show the person trying to persuade him into cooperating. View the screenshots. Posted in Counter Strike and tagged China, esports, gaming, News, TYLOO, video games. Bookmark the permalink.